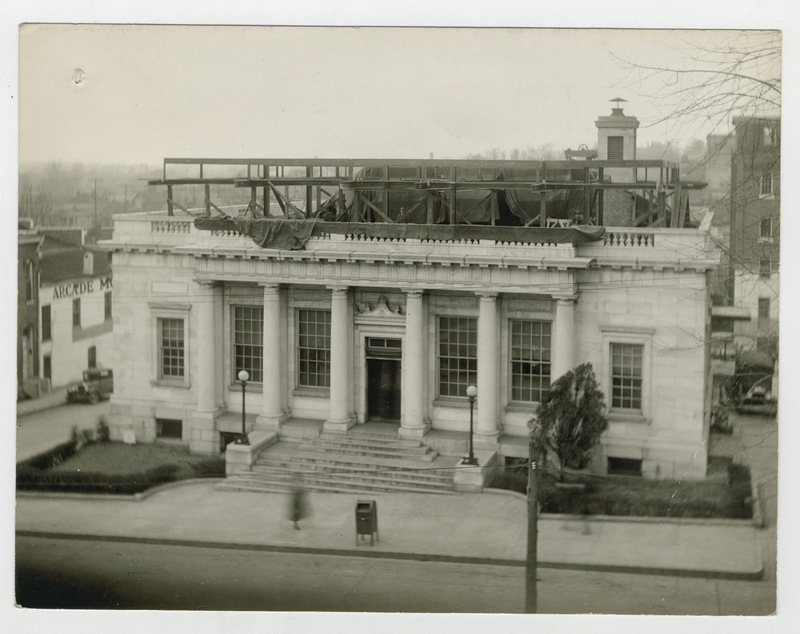 TheEugene Doren photograph collection on the Winchester, Kentucky Post Office,1912-1935, contains 49 items showing the construction of the post office in 1912 and photographs of the post office's rooftop addition in 1935. The full finding aid can be viewed here. Above: "Post office rooftop addition. U.S. Post Office // Winchester, Kentucky // February 26, 1935 // South Elevation showing Structural Steel // for 2nd floor typed on verso"